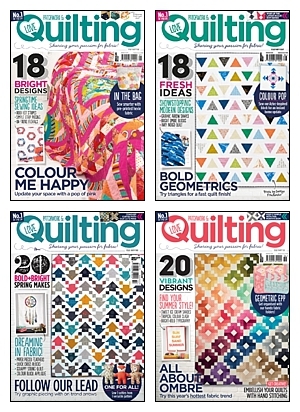 These are the quilting supplies and products that I use on a regular basis. 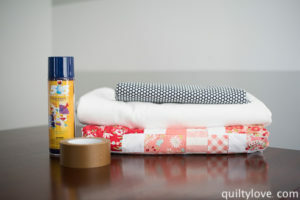 I’m a pretty minimalist quilter (so far…ha) and these are my tried and true quilting supplies. 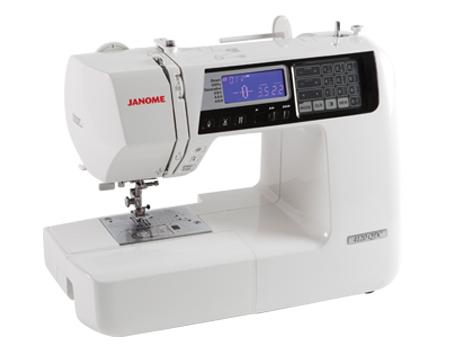 I currently use a Janome QDC 4120 sewing machine. Every single one of my quilts (except 2) have been pieced and quilted on this machine. Yes, every one has been quilted on this machine. So do I recommend it??? YES! But… if you can swing it, a larger throat machine might be a good idea. I also have my eye on this Juki and if my current machine ever gives out I’ll jump on it. 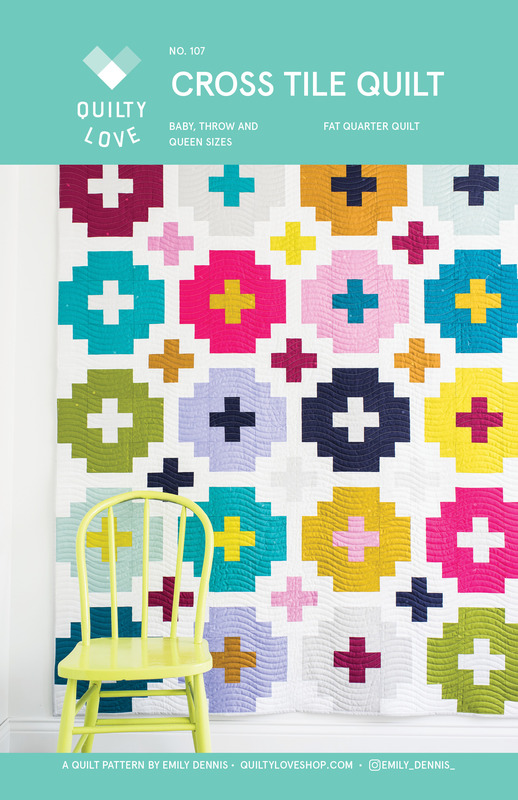 It comes highly recommended from many quilters. 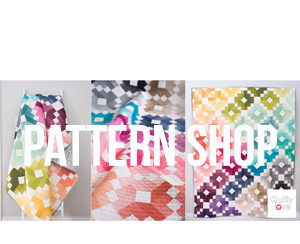 Every quilter needs (NEEDS!) a rotary cutter, a cutting mat and a few rulers. 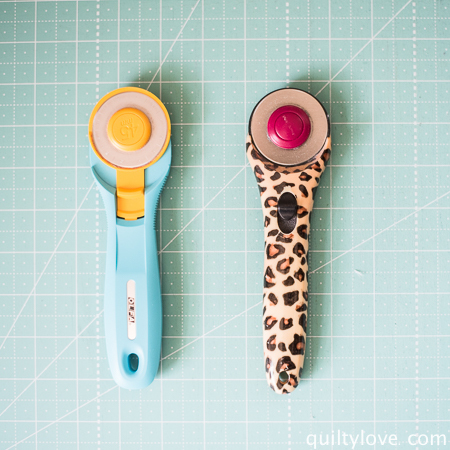 I’ve used a cheap Fiskars brand for years and years. Recently I purchased an Olfa brand. I can’t say one is way better than the other but I kind of like the feeling of the Olfa in my hands better. Both are fairly inexpensive. I just have the one size: 45mm. 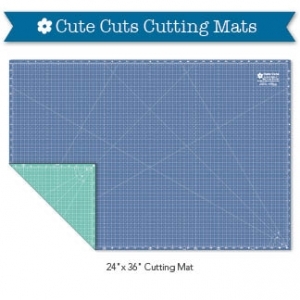 I love my Riley Blake rotary cutting mat! It is starting to wear out and I’m almost ready to replace it but I think it’s pretty reasonably priced and considering how much it gets used, I can live with that. I do like the 2 sides since I flipped it over when one side was too worn out. I keep it pretty simple with quilt rulers. I have a few favorites and then a few extras that are really more splurges. 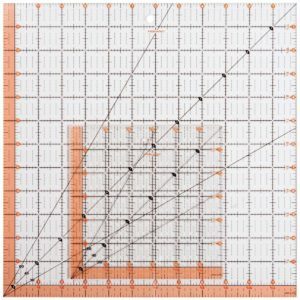 My most used ruler is the 6.5in x 24in Creative Grids Ruler. It’s non slip so it’s great for cutting width of fabric pieces. You can make an entire quilt with just this one ruler. These 2 Fiskar Rulers are the other two that get used consistently. The 6.5in square ruler and the 12.5in square ruler. 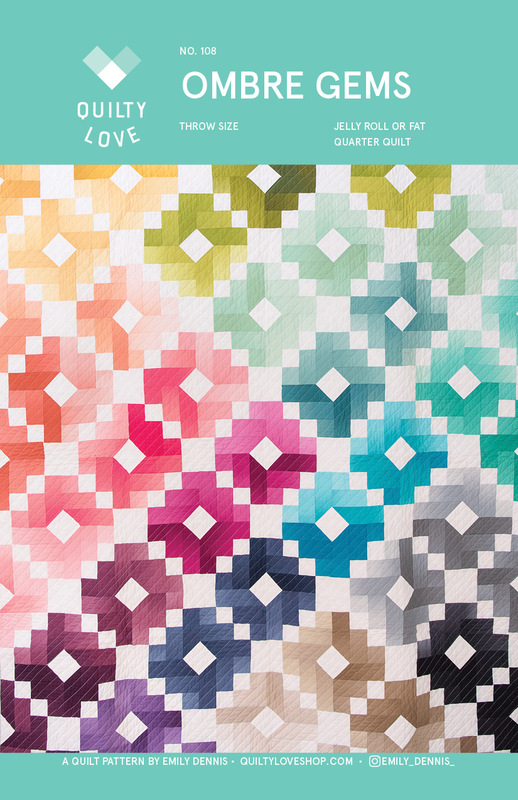 I like these Fiskar quilt rulers because they do glide. I like my smaller size rulers to be able to slide but not my larger rulers. Also, I like the clean black lines. I started out with a ruler with the yellow markings and lines and couldn’t stand it! So hard to read. These ones are simple and easy to read quickly. 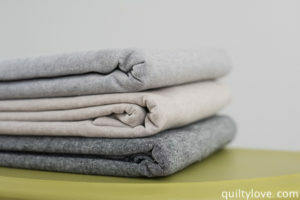 Those three quilt rulers are the ones I couldn’t live without. These ones below are a little more frivolous but do get used from time to time. The HexNmore Ruler. I really like how versatile this ruler is. It works as a triangle ruler and a half hexagon ruler. 60 degree triangle ruler. Sometimes I like to use this triangle ruler over the hexNmore. 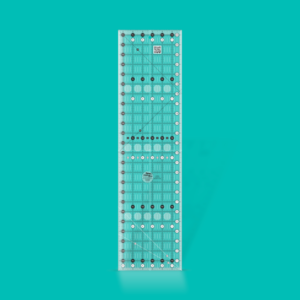 Smaller and easier to navigate. I have the larger rectangle one. 22in x 15in. I use two different threads almost exclusively. 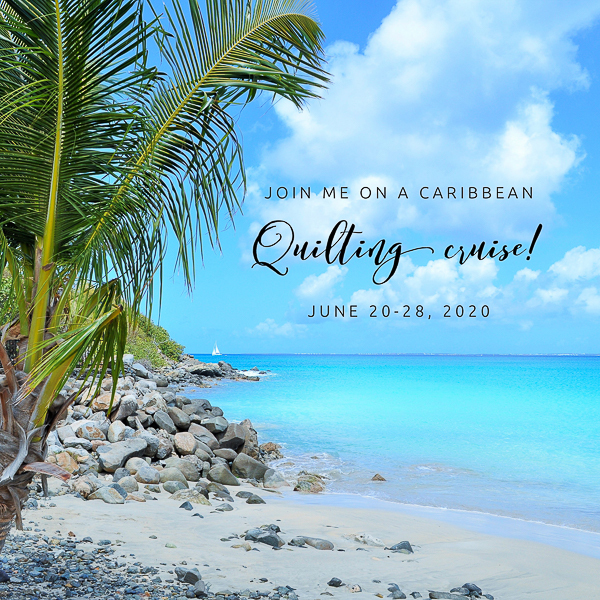 I like the Aurifil for piecing and the Connecting Threads for quilting. Both are 50 wt but the Connecting Threads is noticeably thicker. 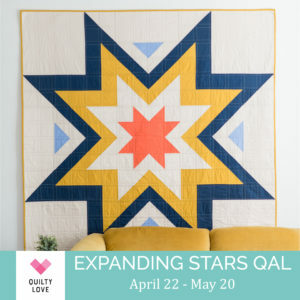 My favorite batting is Quilters Dream Select. I use it when I can. Mostly I use Warm and White and buy it by the 40 yard roll. Timeless Treasures black and white stripes for binding. 505 Spray baste – I exclusively spray baste my quilts and this is the only spray baste I use. I only buy the larger 12oz size. One 12oz can lasts about 2ish quilts. Kraft Tape – I could never baste without this tape! I’ve tried every type of tape out there and this is the only one I like. Masking tape, duck tape, painters tape… no success with any of those. This Kraft tape sticks to floors and fabric. Starch – Faultless Premium. It’s cheap and I get it locally at the big box store. Iron – I’ve been using the one I got for my wedding 15+ years ago! A Sunbeam. The water started leaking so now I don’t use steam and use starch instead. Love this! Thanks for taking the time to put it together. I tried spray basting for the first time last weekend. However, when I untaped it from the floor, it had a bit of a wrinkly look. Is that normal? Did I pull the backing too taut? It looked great before I took the tape off. It sounds like maybe the fabric was pulled a little too tight. 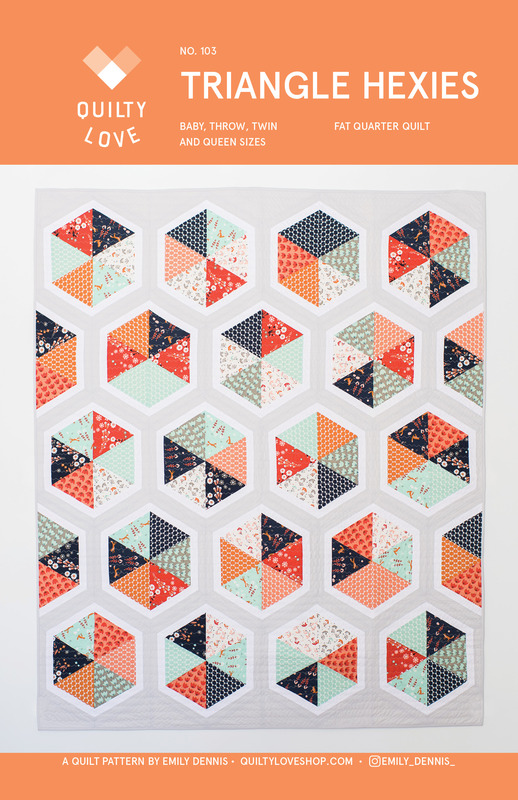 Although, I guess mine are like that sometimes and the back side usually turns out just fine after quilting. 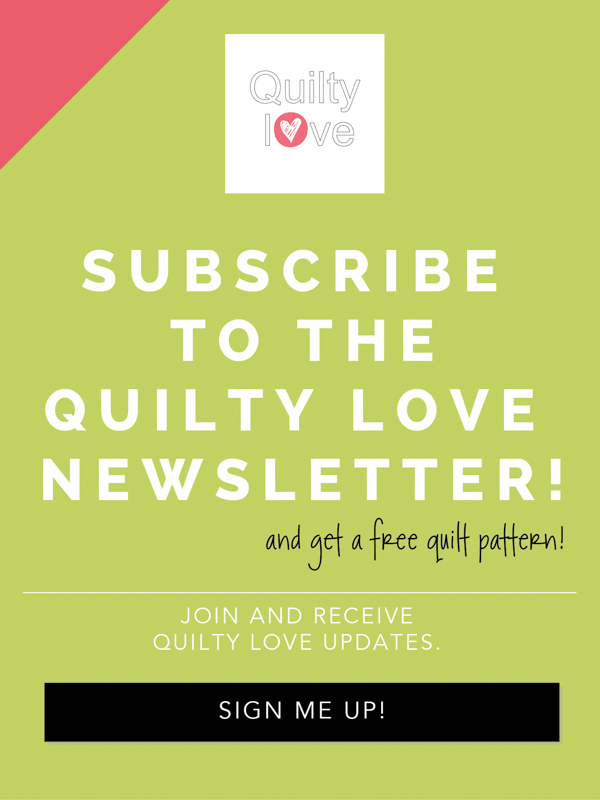 Have you ever tried the Accuquilt for cutting fabric ?